A major insurance company is backing the Citroen motor company's safety measure to install a factory-fitted dash cam in its latest model. Citroen announced at the launch of its top-of-the-range SUV, the C5 Aircross, that the insurance company will grant owners a 10pc reduction in their annual premiums because it comes with the company's ConnectedCAM, a 16GB HD camera. The camera automatically records events such as erratic driving behaviour, crashes and rear-ended incidents or pedestrians jumping in front of vehicles - and saves collision footage 30 seconds before an accident and 60 seconds after impact. The camera is built into the interior rear-view mirror to record all movements through high-definition technology, with the memory card storing photos and video footage. 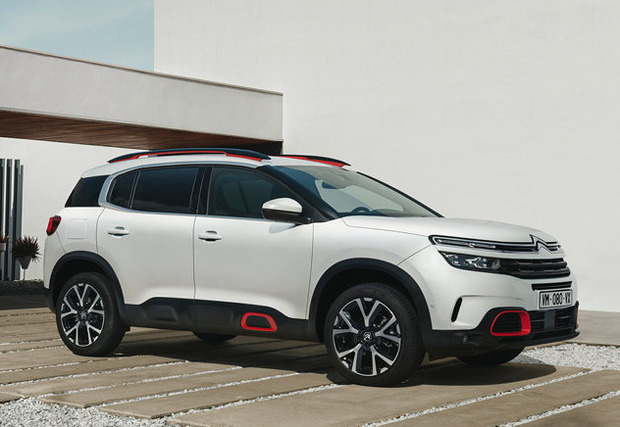 Cathal Kealey, communication executive with Citroen Ireland, said his company was proud to have the only vehicle on sale in Ireland to offer such technology as standard across the C5 Aircross range. The company will be looking at installing it in all new models in the future, he added. Dash cams have become the biggest-selling accessory for motor vehicles worldwide as motorists realise it is a secure source of evidence of 'who did what' in accident situations. In Garda prosecution cases, and insurance claims for damage or injury, it can prevent costly litigation. Insurance companies are beginning to realise the value of such cameras as it improves motorists' driving habits and there are discounts in the UK. A study by the RAC there found that 25pc of drivers believe that fitting a dash cam will improve their driving, while 69pc of those who have had an accident said that a dash cam would have been useful in settling a liability claim. They could also help to cut down on claims arising out of the epidemic of staged rear-end shunts that finish up in costly Irish court cases. AXA Ireland, also a major player in the car insurance business here, recently offered drivers with selected policies a 10pc reduction on their premiums and a 10pc reduction on the purchase price of a Nextbase dash cam for use in policyholders' cars on the basis that the driver has proof of what happened if involved in an accident. "If another driver is at fault, your dash cam footage could support your claim and protect your policy and No Claims Discount," the company said when launching the scheme. Dash cams have to be turned off during a driving test and do not record what happens inside the car, unless designed to do so. The new SUV has a big body profile and the best boot space in its class at 580 litres. This can be increased to 720 litres with adjustment to the three individual rear seats and to a gigantic 1,630 litres when these are folded down. The cabin is spacious with high specially reinforced foam seating and a big storage central console. Special attention has been given to the progressive hydraulic cushion suspension where compression and rebound cushions are deployed to iron out the most severe potholes and speed bumps. Citroen calls it the 'magic carpet ride'. Prices start at €26,495 and there are four levels of trim bringing the top version to €33,695. The Flair version, including a reversing camera, is priced at €39,995.